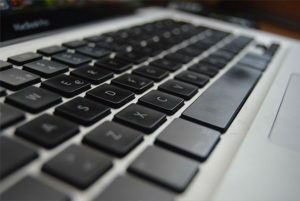 One of the most frequent questions small business owners ask of SJP Network Solutions, LLC revolves around their constant battle with tech support, computer repair needs, and their internal IT support services. In an office environment where there are less than 20 employees, the IT department is typically comprised of the owner, owner’s spouse, possibly a receptionist, and someone in the office who once set up their own Wi-Fi network at home. Frequently, the assembled employees stare at the computer screen with blank faces and scratch their heads. The productivity of the entire business can come to a grinding stop for even the most minor of computer repair needs. Can your small business relate to this picture? The good news is that there is a simple solution to managing the IT support services of a small business. First, small business owners need to identify their business’s weakness. Most small business owners depend on focusing their energies on their business’s specialty. For a small business to grow, it must acknowledge which tasks are best left to specialists in that field. Experts in both technology and entrepreneurship agree that most small business owners hinder their growth by allowing internal amateurs to manage their IT support services. Do-it-yourself IT support services costs a small business owner substantially more than the expense of remote support services. Plus, none of the headaches. From routine tech support to the maintenance of computers, trust experts at SJP Network Solutions. Based in the Fort Walton Beach, Florida, and Destin, Florida area, these experts are familiar with the needs of small business owners in the area. Let our experts manage the sophisticated elements of IT support. SJP Network Solutions will provide your small business with comprehensive IT support, including antivirus software, remote tech support, and cloud management. Our business is to provide small business owners with peace of mind regarding their technology needs. Rely on SJP Network Solutions to manage your cyber security, virus removal and antivirus installation and maintenance.